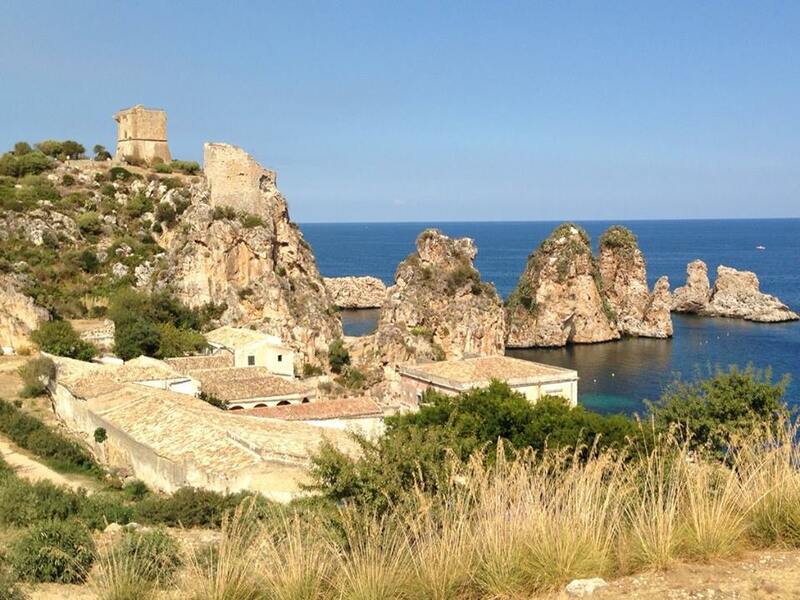 When I visit Sicily, I enjoy following in the footsteps of Theresa Maggio, author of Mattanza: The Ancient Sicilian Ritual of Bluefin Tuna Fishing and The Stone Boudoir: Travels through the Hidden Villages of Sicily. 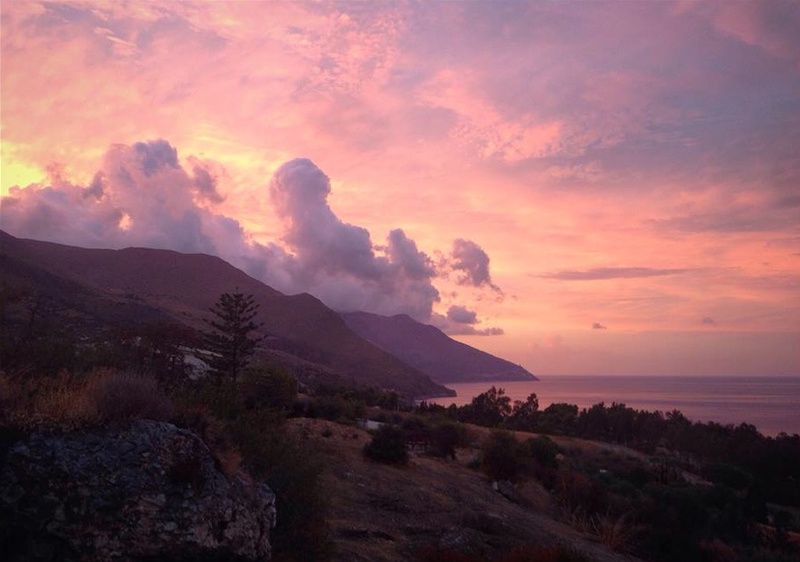 My family and I first travelled to Sicily 14 years ago, in part to re-connect with my father’s relatives. That was when I discovered Theresa’s splendid books. Reading them again on our recent trip was like meeting up with an old friend. 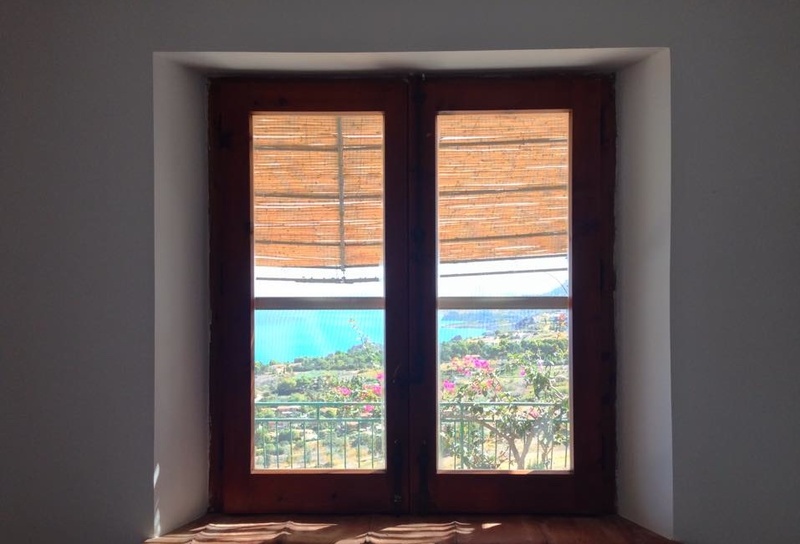 When I see Sicily through Theresa’s eyes, I see the island so vividly, with a more nuanced understanding of the complex people, culture, and history of this stunningly beautiful place. We usually stay on the outskirts of Scopello, a small fishing village that is now a quiet, secluded haven for tourists. On this trip, we rented a villa halfway up a mountain on the edge of Zingaro Nature Reserve. Once the home of a tonnara (tuna factory), in years past Scopello celebrated the mattanza, the ritualized killing of bluefin tuna, every May and June. 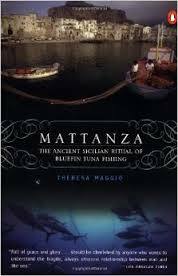 The mattanza was first practiced by the Arabs, or perhaps the Carthaginians before them. The custom died out in the 1980s when industrial over-fishing made it obsolete. Theresa’s book is a love letter and an elegy to the mattanza and the people whose lives were intimately bound to it. During one of the last years of the mattanza, Theresa befriended the fishermen (tonnatori) on the island of Favignana and accompanied them on their boats as they watched and waited for the tuna to become trapped in their underwater chambers of ropes and nets. When several hundred tuna had been captured, the tonnaroti lured them from one chamber to the next, while chanting thanks and prayers to God, the Virgin Mary, the saints. The bluefins’ final destination: the chamber of death. “After a while huge black shapes rose up into the backlit square. Their slow rising was mystical, like a birth. They rose higher. Dorsal fins swirled, wild animals drawn up from a silent abyss. They were giants, eight feet long, some bigger, and there were hundreds of them. The net was drawn taut and they skittered in front of us, half out of the water. I looked into their glassy black eyes. The fish were as big as men, some bigger than four men. When their tails slapped the water it rose in columns above our heads. I remember the din, the thunder of falling water, and their frantic thrashing. They darted to the corners of the net, but there was no way out. 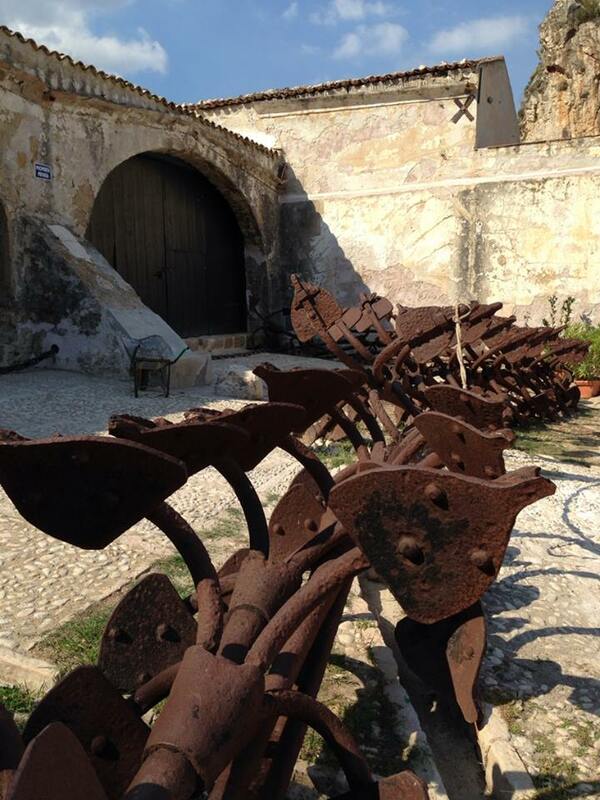 At one time, these hand-made tuna traps were in Spain, France, Algeria, Tunisia, Turkey, Dalmatia and Corsica, as well as Italy; some sixty tonnaras dotted the Sicilian coast. “Gone, all gone,” writes Theresa. The old tonnara in Scopello is beautiful, but I didn’t like seeing it in the hands of tourists. In their heyday, the tonnaras employed, directly or indirectly, thousands of men and women; some even had child care centers on site. Theresa writes with great sadness of the tonnaroti who netted fewer and fewer tuna each year until they had to stop. I don’t like a world where men and women who love working on or near the sea, who make their living by physical labor, can no longer do so because it is not profitable. I’ve never seen a mighty bluefin tuna, but I’d prefer to have our seas teeming with them. Theresa Maggio is a compassionate and keenly intelligent traveler. Her passion for discerning the heart and soul of a people and a place will enrich your own explorations. Sunset photo by A. Hallinan. Thank you for a wonderful glimpse into the past and the engaging photos! Beautiful Valorie, how wonderful to be rereading Theresa Maggio and re-exploring the area she so loved. Enjoy.